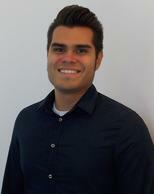 Giovanni has been working at Kluger Architects for about 4 years. Within those 4 years he’s been able to learn the essentials of how an architecture firm works. Gio came to us straight out of college. He was initially hired to do clerical work, because of his diligence and love for Architecture, Gio is now in charge of all digital presentations as well as drafting, material selection, digital rendering, library, he also coordinates all of the firm’s lunch & learns and keep us informed of the latest materials used in our industry.